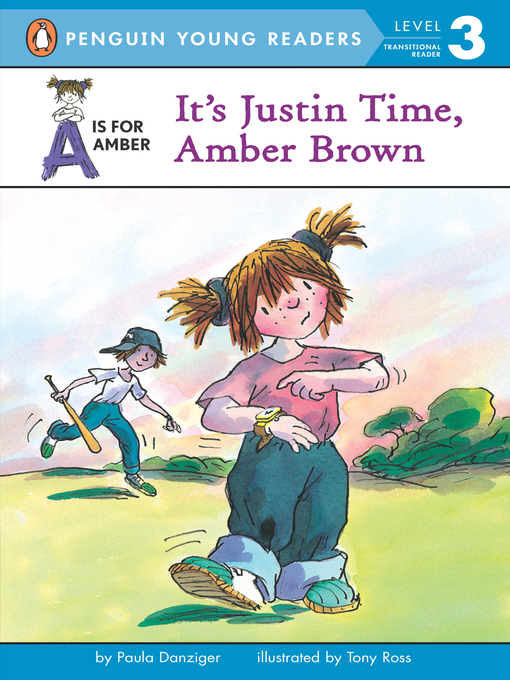 The item It's justin time, amber brown, Paula Danziger, (ebook.) represents a specific, individual, material embodiment of a distinct intellectual or artistic creation found in Charlotte Mecklenburg Library. Amber Brown wants a watch for her seventh birthday more than anything else. She knows she will feel more grown-up when she can see what time it is whenever she wants. Also, she will always know exactly how late Justin Daniels, her best friend, is. He is a great best friend, but Amber is getting tired of waiting for him all the time. She wants to live on Amber Time, not Justin Time!